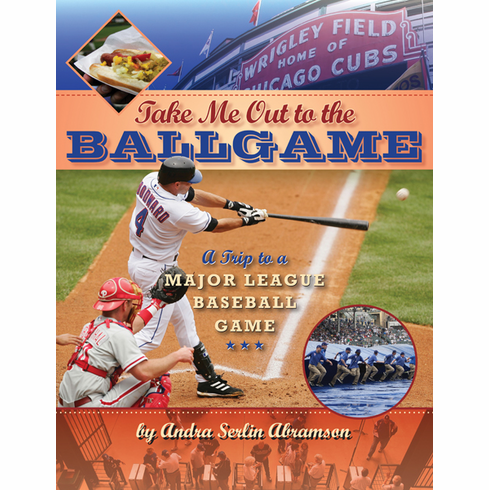 Enjoy the total, thrilling experience of going to a Major League Baseball game � without leaving the house! Complete with a quartet of eye-popping four-page gatefolds, plus photos throughout, Take Me Out to the Ball Game captures every exciting moment: entering the stadium with the expectant crowd, buying that tasty hot dog, waiting through a rain delay, hearing the satisfying thwack of ball meeting bat, taking that 7th inning stretch, and cheering the umpire when he gets it right (and booing him when he doesn�t). For every young fan, especially one going to a game for the very first time, this is the perfect guide on what to expect � and a great way to remember what happened. Hardcover, 9" x 12", 32 pages�includes 4 giant gatefolds.